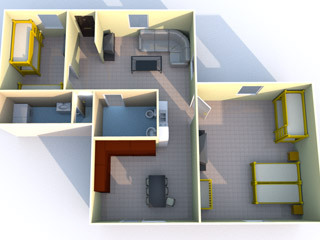 We offer accommodation in one apartment (living room, 2 bedrooms, 2 bathrooms, kitchen). Apartment is on the ground floor of the building with 2 separate entrances. 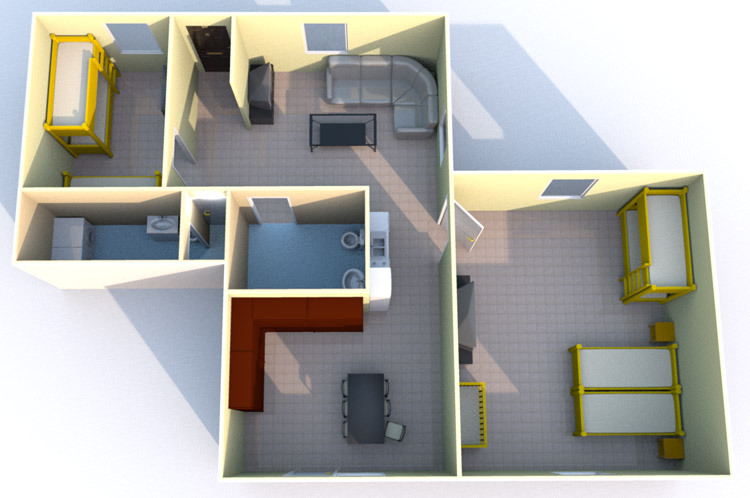 The capacity of the apartment is 7 beds + extra bed and children’s bed. The total size is apprx. 70 m2 – suitable also for 2 related families. Maximum comfort without limitation of the space. The apartment is equipped with big-screen TVs, PC. We also offer WiFi as well as hard-line Internet connection. When empty, the whole facility is protected by alarm. Parking with camera guarding is situated in front of the house. A summer sitting is available behind the house. 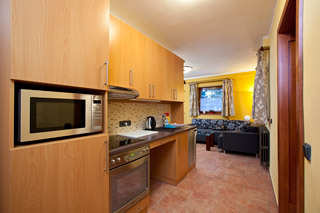 Fully equipped kitchen (cooker, dishwasher, fridge, microwave, electric kettle…). A wheelchair invalid can drive under the kitchen unit like under the kitchen table. Living room contains seats with the table, TV+Sat and PC with access to the Internet. Bathroom is equipped with barrier-free shower corner, mirror, seat, suspension WC. The seat in the shower corner as well as WC are equipped with handles in height 70 cm above the floor. 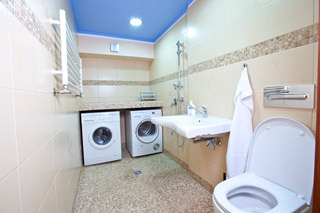 There is also a small auxiliary bathroom equipped with the washing machine, dryer, small shower corner, washbasin and WC. It can serve for washing of the wheelchair or fast washing and drying in case of an accident of the invalid, or for the needs of accommodated persons – such as for washing of clothes of small children.